Is the New AppleCare Worth it? In the midst of iPhone 7 excitement yesterday (Two cameras! Ugly headphones! COURAGE!) Apple also made some much quieter changes to its AppleCare+ program. As of yesterday, enrolling in AppleCare+ means you can get a broken iPhone screen repaired for $29. But is it worth the money? There are, of course, a few catches. The first and most obvious: you have to pay for AppleCare+. Enrollment costs $129 and includes two repairs due to “accidental damage from handling” (ADH). That means your first screen repair will cost a cool $158 in total. But your next one will be just $29. AppleCare+ also extends the phone’s warranty to two years. All phones get a year under Apple’s limited warranty for free, but that warranty only provides protection from defects. Anything related to accidents (drops, water damage) or time’s slow march toward entropy (failure of consumables, like batteries) is not covered. The policy adds that the device “must have no additional damage beyond the screen damage.” So if your phone is bent, no new screen for you. While some people mistake them as a separate category under the new plan, those $29 screen cracks actually fall into the same category as more the labor-intensive repairs that cost $99 . And since AppleCare+ only covers up to two of either variety, you’re screwed if something more serious breaks down in the device and you’ve already used two ADH claims to repair cracked screens. That much hasn’t changed—and at the very least screen repairs will be cheaper than they used to be. Does it make sense to sign up? That depends largely on how you use your phone, and how handy you are. A DIY iPhone screen replacement kit will cost $40 to $60, which works out to three or four screen repairs for the price of Apple’s two. (Buying AppleCare+ and paying the fee for two repairs will cost between $187 to $327, depending on whether the repairs are the $29 or the $99 variety.) Of course, you’ll void the phone’s warranty, if you replace the screen yourself or take it to a non-certified repairman. (Some of these shops can charge up to $150 for a screen replacement.) And if you or the dodgy repairman bungles the repair, your device could get destroyed. In the end it’s pretty simple. 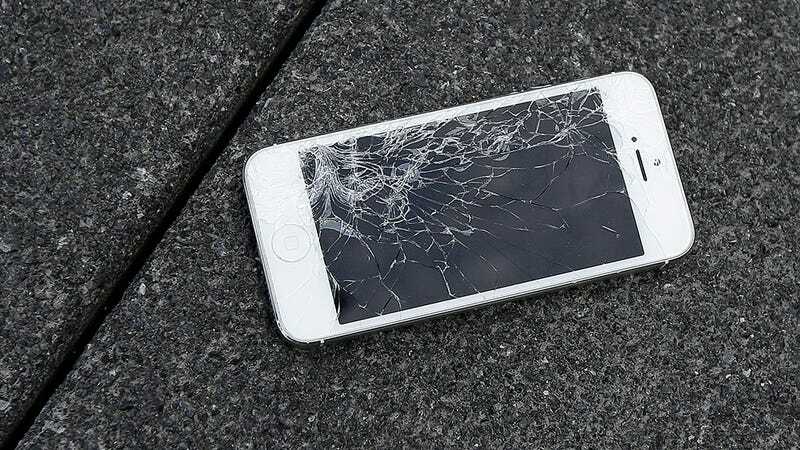 Repairing an iPhone by yourself is certainly the cheapest route—but it’s also the riskiest. If you don’t trust yourself to replace a cracked screen, signing up for AppleCare+ makes good sense, as long as you understand the fine print. The little insurance policy will almost definitely be cheaper and easier than going to a sketchy third-party repair company. If that $158 still sounds too expensive, well, sturdy cases start at around $20.